First Class offers translation in more than 20 languages, following a strict five-step translation process of translating, crosschecking, consulting doubtful points with clients if really needed, proofreading/spelling check, and finalizing. We employ and collaborate with native speakers of the target languages, as well as with experts in subject areas, to ensure precision and correctness. Khmer, English, French, German, Italian, Spanish, Chinese, Japanese, Korean, Vietnamese, Thai, Lao, Burmese, Russian, Malay, Filipino, Indonesian, Arab, Czech, Finnish, Polish, Portuguese, Danish, and Turkish are the languages we routinely cover. Translation in other languages can be provided on request. We translate documents of all kinds accurately, fast, and with a great attention to your specific requirements. Certified documents are often required for official purposes, for instance at embassies. At First Class, you can have your documents both translated and then certified with a signature and stamp by our legally registered company, or notarized by the Ministry of Foreign Affairs or the appropriate legal office, if necessary. Documents that typically require certification include but are not limited to: certificates (birth, death, marriage, divorce), family books, ID cards or other official identification documents, educational qualifications (school, university or professional), official court documents and articles of association. First Class is officially accredited by the Embassy of France in Phnom Penh and listed as a recognized translation company on the websites of the Embassy of France and the Embassy of Germany in Cambodia. We have also worked closely with the U.S. Embassy, Australian Embassy and Canadian Embassy. At First Class, free individual advice is always available to ensure that we meet your needs Right First Time. Whether it be letters, websites, articles, essays, statutory declarations, presentations and guidelines in non-technical language, general statements, advertising material, documents for your event, or any other documents in a general language, our team of professional translators is well-prepared and ready to provide an accurate translation of your non-technical documents. If you require translation of manuals, user guides, project reports, tenders, technical and business contracts, legal documents, medical papers, project and research papers, training materials, manuals, handbooks, guidelines, laws, rules and regulations, statutes, articles of association, or of any other technical documents, it is absolutely essential that the translators have an in-depth knowledge of the subject area. Rest assured that First Class has what it takes to produce the best result to meet your needs. For technical manuals, we also use the Trados translation application – offered by many international translation companies worldwide. 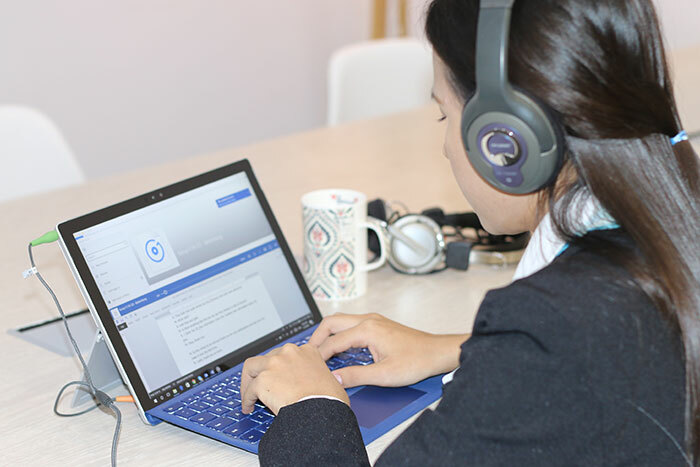 Our linguists create a written record of your audio recording or your live event and translate it into the languages required. We can accommodate a broad range of audio files, such as CD, DVD, video or audio cassette, MP3, mpeg or wav, and any other type of recording, on request. We prepare your software for any local market, adapting it to the linguistic requirements and ensuring best quality through native speakers of the target languages. Qualified linguists translate the audio of your video with time stamps. Native speakers read the translation, recorded with high-quality microphones and sound recording software. First Class has an extensive network of expert freelance translators throughout Cambodia and abroad, providing us with access to expertise in a broad spectrum of industry-specific knowledge areas. We cooperate closely with our clients to ensure our translators’ work always meets your individual needs. Interested in First Class Translation Services?